The Challenge of the Unfamiliar – CMg Design, Inc. Doing something new doesn’t necessarily have to be beautiful in the eyes of the people who look at it. The result of doing something new is beautiful. The fact of doing something new and people being moved by it is what’s beautiful. We all know the comfort of the known—a favorite sweater, a set of Monday morning tasks that gets us back into the swing of the work week, a new song that becomes a fast favorite because of the familiar rhythm. Our brains are wired for ritual, routine, repetition. But what about the discomfort of the unknown, the jolt of the new, the challenge of the unfamiliar? These questions got our minds humming as we encountered images from the recent Met Gala—this year, the annual fundraising event for the Costume Institute of the Metropolitan Museum of Art in New York celebrated the work of avant-garde designer Rei Kawakubo, and many of the outfits worn on the red carpet were, well, outlandish, and provided fodder for late night comics. But what’s so funny? While it’s easy to dismiss or mock something whose meaning is not immediately apparent, or that falls outside conventional norms or the cultures we are familiar with, doing so may cost us an opportunity to expand our vision and stretch our own creativity. 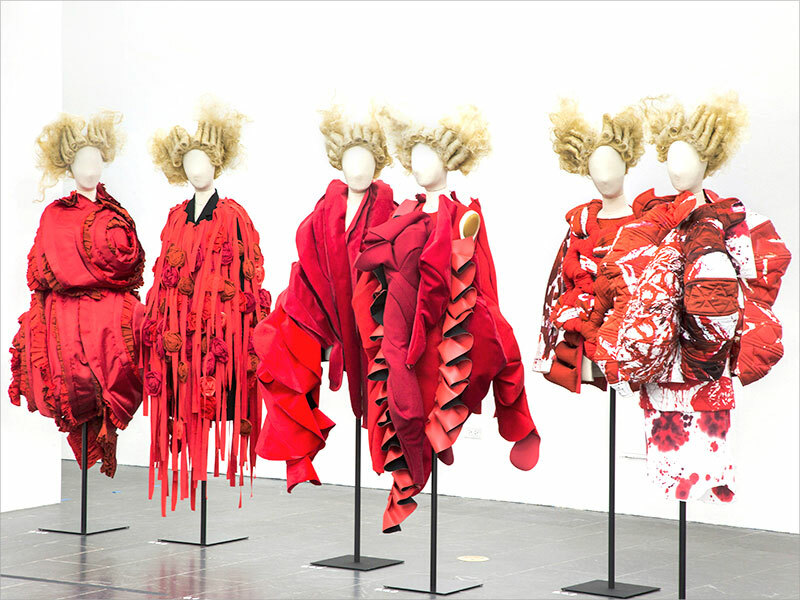 Kawakubo’s clothing designs are the subject of the Costume Institute’s spring 2017 exhibition, Rei Kawakubo/Comme des Garçons: Art of the In-Between. Thomas P. Campbell, Director of The Met, credits Kawakubo with blurring the line between art and fashion, and asking us to think differently about clothing. While many of the designs appear unwearable, others, some going decades back, feature design elements that have been adopted by other designers in more recent years. Asymmetry has become more pronounced in some clothing design, thanks to Kawakubo’s lead, and exposed seams, heavily featured in her work, have also become prevalent in more conventional fashion. She is credited by many in the fashion world with increasing the popularity of black over the last few decades. Take a virtual spin through the exhibit, and perhaps it will trigger some fresh ideas in your own work, or a new approach to an old problem.